Hey everyone! Spring break starts in two days and I could not be more excited! My body still not used to this time change! I am hoping a couple of days to sleep in will do the trick! This casual look was from this past Sunday. My husband and I went to lunch and I wore this outfit around town! 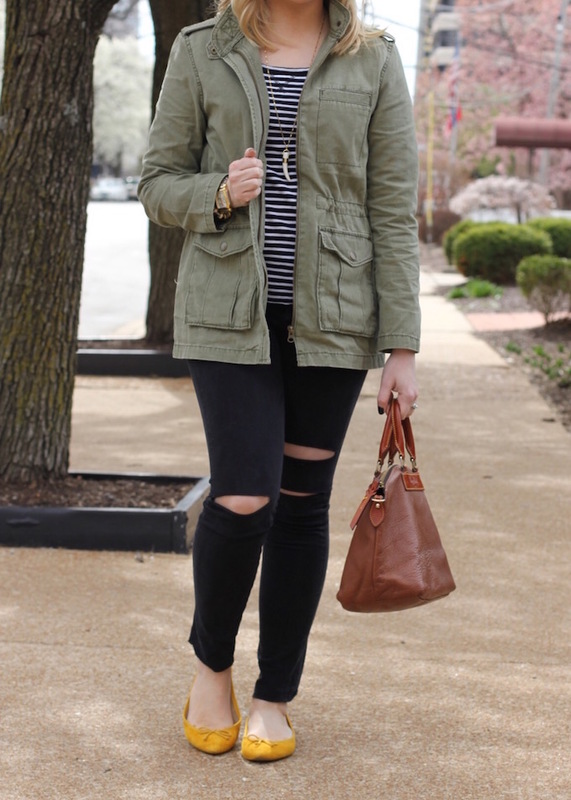 This jacket is perfect to layer for spring! I also love that it is on sale right now! 1. 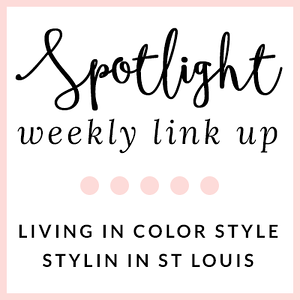 We kindly ask that you follow the two hosts: Elle from Living in Color Style, Jacqueline from Stylin' In St. Louis, and our guest host Amy of Coffee Beans and Bobby Pins. Spotlight: Our spotlight of the week is Kallie of The Flexman Flat! We love a great black dress! The maxi dress is Kallie is wearing is a perfect way to wear this color! 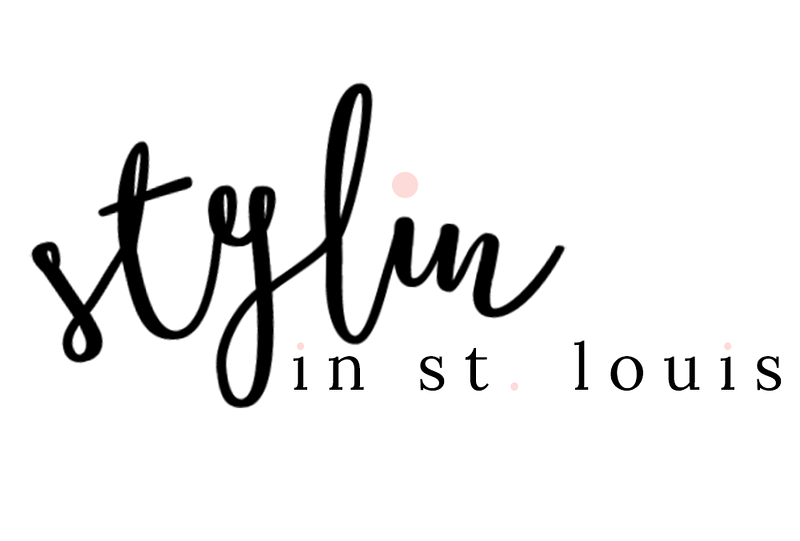 Be sure to check out how she styled it! This is such a perfect casual transitional look! 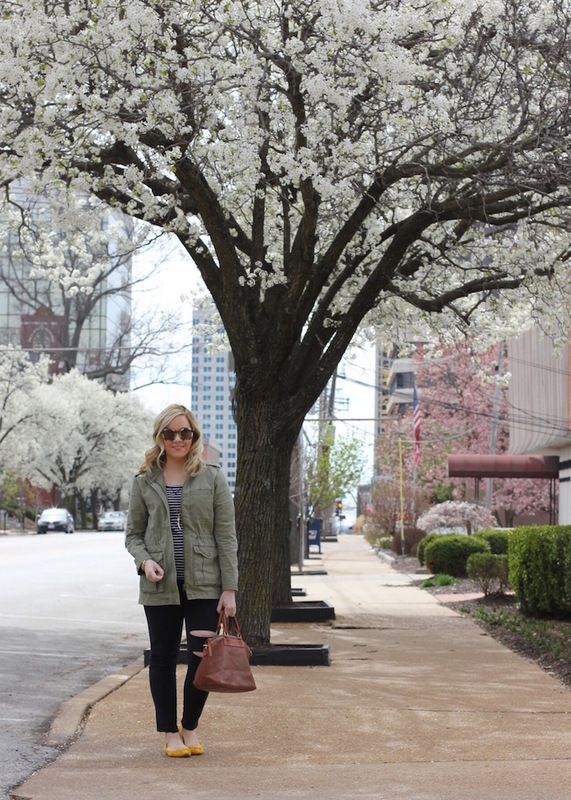 I'm loving that olive jacket - too cute! Such a cute casual day outfit. And I am absolutely loving your yellow flats! Those sweet shoes add the perfect pop! Love this casual style on cute you! Happy weekend! Those yellow shoes make this outfit for me!! Yellow is my favorite color and I always love a pop of color with the shoes! Love this jacket with the bright flats! 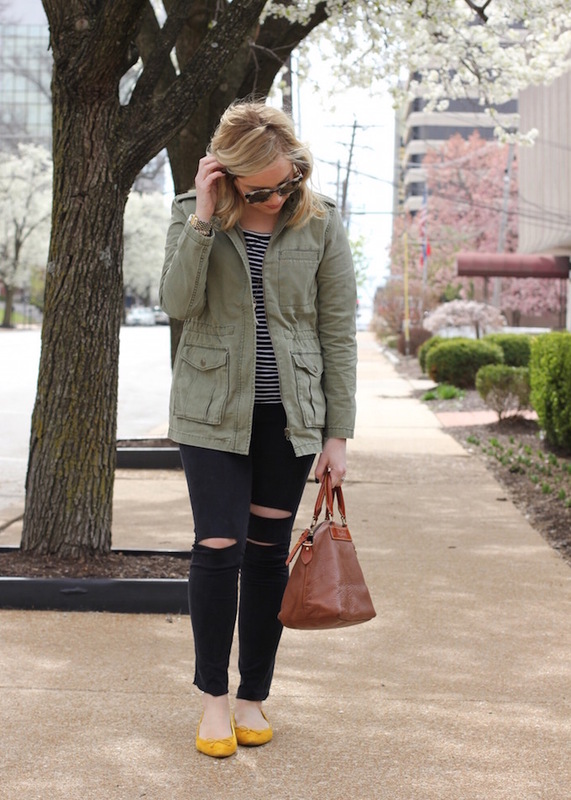 Love this military inspired jacket, it's the perfect jacket for spring. I have a similar one I've had since college and take it out every year, it's a timeless style. Have a great weekend, thanks for the link up! What a great casual look! I love the colorful flats you added! I couldn't be more excited about spring break either! I am not even doing anything, but hopefully I can at least catch up on a little sleep! This is a great look. I like the yellow shoes. Great casual look! Love your jeans and pop of color! The time change has killed me this time!! Losing an hour of sleep feels like I lost 3 days of sleep. I may take me a week to recover. Love this casual look. The yellow flats are too cute! Such a beautiful look, my favorite is the yellow flats with the b/w striped shirt! All of our pretty bradford pear trees have lost their pretty blooms with the snow! Def. need some warmer temps here! Love seeing all those beautiful spring blooms! I think one more weekend should be good to finally adjust to DST. I wish we'd never switch back, I love the later sunsets. I love those yellow shoes!!! Your flats are EVER so pretty. loving the casual weekend look with the bright flats. the yellow pop of color was a great choice. What a cute casual look! 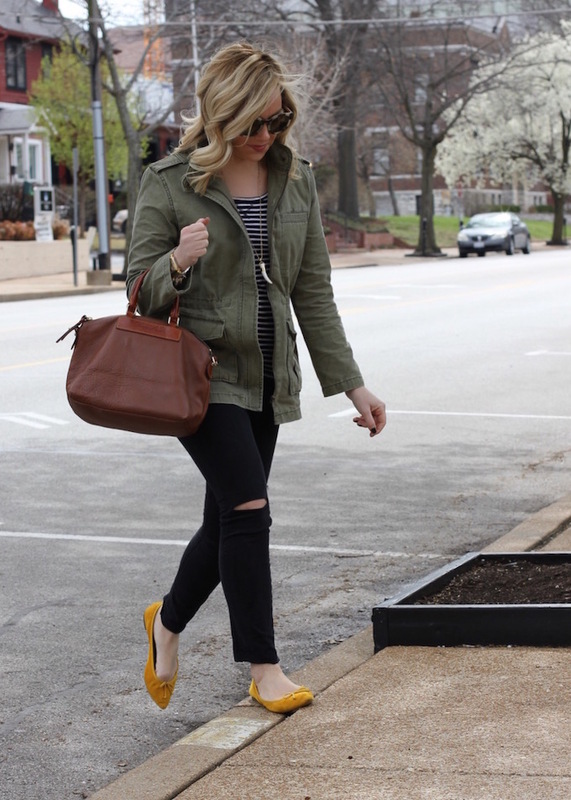 Love that jacket on you and I love those yellow flats! !